Rich and constant blends. 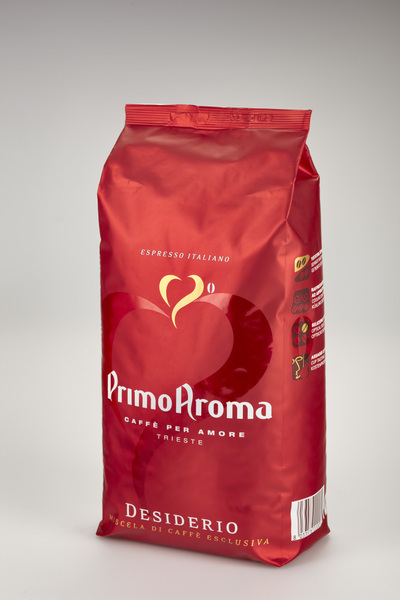 The pride of Primo Aroma. While we maintain the same quality in the cup, we want to satisfy palates, with unique features infused in every Primo Aroma proposal, in order to connect every tasting to a sensory journey as never done before. 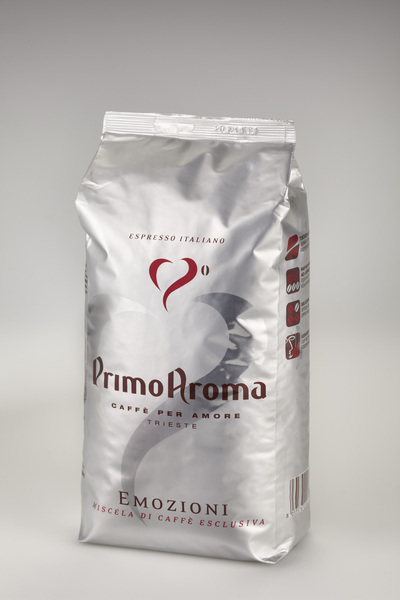 Made out of the finest Arabica qualities, with a touch of Asiatic washed Robustas, it’s ideal for the espresso masters. It is sweet and refined, due to the attention given to the selection of the raw materials and to the medium-to-intense roasting level. It also reveals the perfect balance between the body and the refinement. Thanks of these features, this blend is Corrado’s favourite: sweet and scrupulous, just like him, especially when he is roasting coffee. Made out of the best natural African and Asians Robustas qualities, all optically selected, with a touch of natural Brazilian Arabica, it represents the perfect mixture between strength and fullness. 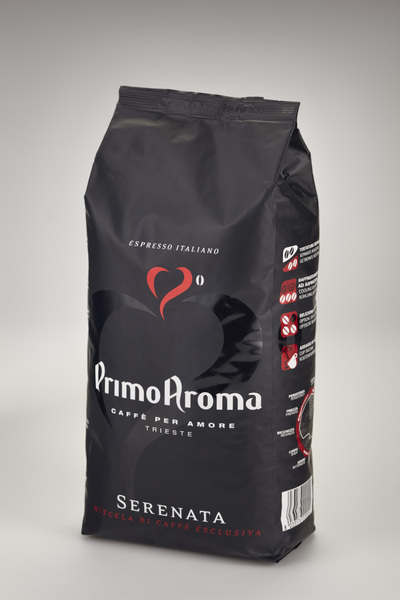 The attentive selection of the single varieties, with a medium-to-intense roasting, makes it ideal for the consumption with milk or after a meal. 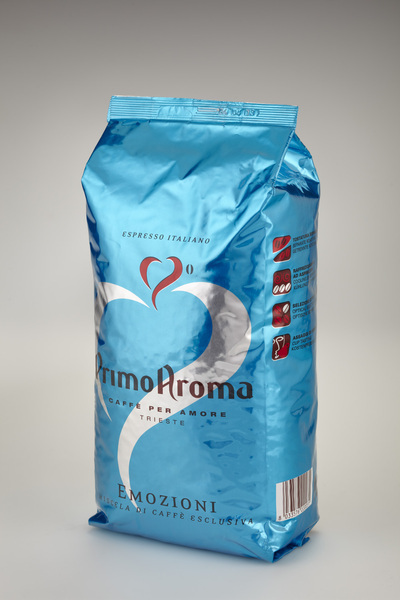 It is the ideal blend for those who appreciate a strong coffee, with a firm and long lasting aftertaste. Because of this, Fabrizio has chosen the name than better represents this blend: an endless emotion, but still new every time. 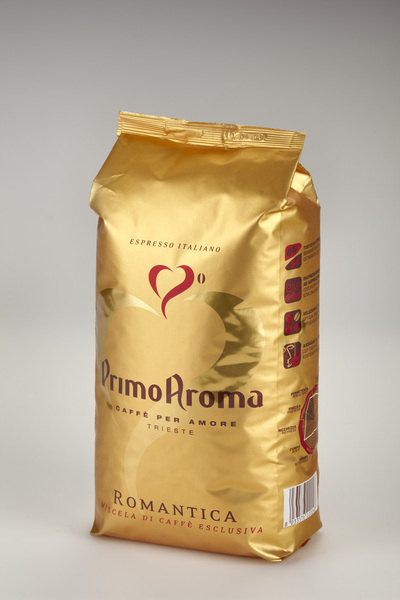 Romantica just like the perfect mixture between Arabica and Robusta, lovely blended together by our roaster. Made out of the finest Arabica qualities, natural and washed and of the best washed Robustas coffees from Asia, it’s the one of the best blends for the espresso masters. The body is very full, due to the best Asiatic Robustas available on the green coffee market. The roasting level is medium-to-intense. A blend for those who are looking for strong and Mediterranean tastes, with an important and long-lasting aftertaste. Made out of the best natural and washed Arabica qualities, united to precious washed Asian Robustas coffees, it’s the ideal blend for demanding consumers that don’t want to renounce to the pleasure of an espresso at whatever time of the day. It is a very light blend (the caffeine quantity is less than 0,05%). It is particularly digestible because it does not contain any waxes. Due to the attentive selection of the raw materials and the decaffeination process, it reaches so high qualitative levels that it can be mistaken with a normal coffee.